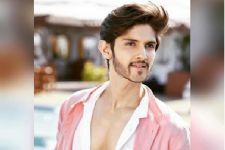 Actor Rohan Mehra who turned a year older a few days ago has been riding high with the success of his most recent music videos. 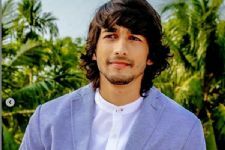 With a busy calendar, the actor has been shuffling between shoots and making some time for travel, which happens to be one of his favourite hobbies. Since a long time, Rohan has been missing from the small screen since a long. Well, we have a good news for his fans. We hear that Rohan will be seen making an appearance on Colors TV's Kitchen Champion by Arjun Bijlani soon. Though it is for an episode but Rohan will be back on TV screen. We are sure his fans are going gaga after hearing this. Our source close to the production house tells us, "The makers were keen to bring on Rohan Mehra with his girlfriend Kanchi Singh as while both had met on the show Yeh Rishta Kya Kehlata Hai, they have never actually been seen romancing each other on screen. They have quite a following as a couple and are one of the hottest young couples in town." We hear that while Rohan and Kanchi will be cooking away, to give them competition the makers have zeroed in on Bidaai fame Ssara Khan. 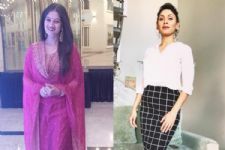 With their recent trip to Bahrain, Rohan-Kanchi and Sara know each other well and Ssara is said to be participating in the show with her sister. We are sure this is going to be quite a fun episode! Abigail Pandey V/S Pooja Gor - The Cooking Competition is On! SS Rajamouli's #RRR attracts HIGHEST satellite price!